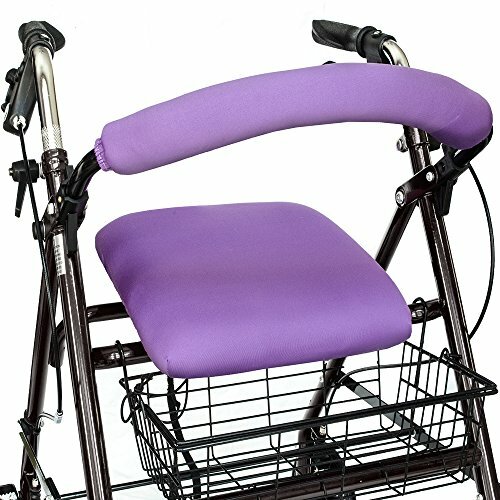 Show your style with rollator covers from Top Glides! Fast to install with washable sports fabric that stretches for universal fit. Seat cover has elastic band with cord lock for a secure fit. Bar cover features easy-to-use hook & loop fastener to install in seconds. Max seat cover size is 17" x 16". Max bar cover size is 7" x 19". Rollator and rollator basket sold separately. Satisfaction guaranteed or your money back. The perfect gift they'll love and use every day! If you have any questions about this product by Top Glides, contact us by completing and submitting the form below. If you are looking for a specif part number, please include it with your message.